Sid keynoted our most recent national convention of Ohala and his insights were transformative and game changing. Sid has a grasp of the larger picture, an ability to analyze the bigger trends afoot and simultaneously offer sound practical wisdom, tools and practices to radically reinvigorate and refocus an organization. He’s a master at helping identify an issue and adept at offering solutions. Rabbi Schwarz engaged our community through his dynamic, thought-provoking, and forward looking presentation. His words continue to have impact as we look to enter our congregation’s second century. Any community that is eager to think about their future must reach out to Rabbi Sid Schwarz. Rabbi Sid Schwarz opens hearts and minds with his Davenning Outside the Box program, inviting us to transform synagogue services into a meaningful, personal prayer experience. His masterful grasp of the landscape of North American Jewry is matched by his own experience as a skillful leader in the trenches. Rabbi Sid Schwarz is a change agent, plain and simple. As a respected and accessible visionary, creator and teacher, he has the credibility to innovate from the inside of the Jewish world. 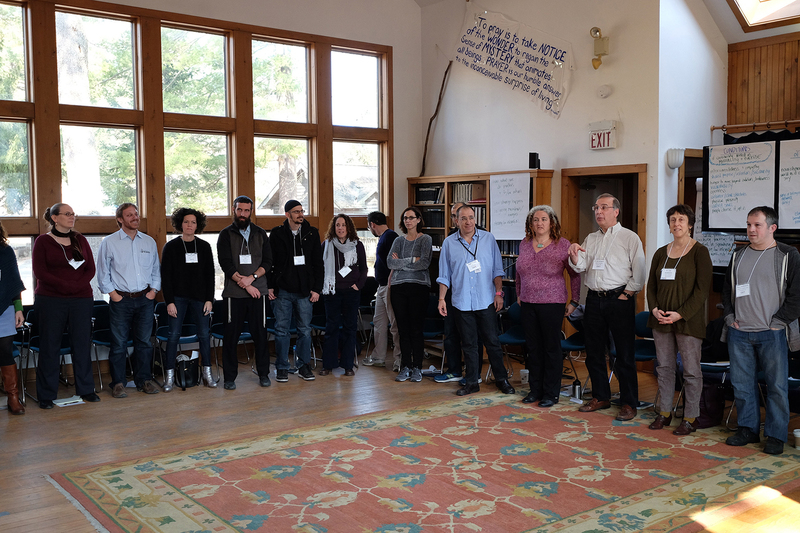 Rabbi Sid is at his best bringing people and organizations together, as he did here in Minneapolis, creating an environment of trust and preparing for a future that both respects the past and charts an inspired and meaningful new course. We hosted Rabbi Sid in our community to kick off a congregational visioning-for-the-future process. His presentation was the perfect mix of wisdom, innovative thinking, experience and humor. We could not have hoped for a more terrific kick-off to this important, congregation-wide process of thinking, exploring, learning, questioning together! In my more than 25 years as a Jewish educator and CEO of the Jewish Federation, I have met very few who do what Rabbi Sid Schwarz does so well–he is visionary who has a remarkable ability to connect with any audience. His presentations to our Eder Leadership Institute fellows left them informed, energized and prepared to make the transformational change we need in our communities today. His new book, Jewish Megatrends, is thought-provoking and challenges some of the verities of American Jewish life today. We need visionaries like Rabbi Sid to help us chart the future. We can’t wait to have him back in New Haven! Rabbi Sid Schwarz was a key ingredient in our successful program to develop new leaders in the Tidewater Federation. He was able to masterfully convey to our participants important leadership lessons, enrich those lessons with Jewish values and share from his vast experience in Jewish communal life. We brought him back again and again. Sid’s three presentations during his scholar-in-residence weekend with us were each deeply thought-provoking, well-crafted, and engaging. He has a wealth of information at his fingertips, marvelous anecdotes, passionate commitments, and a sparkling sense of humor. He had everyone on the edge of their seats!